MOVE IN READY! This home lives much larger than it is and offers an extensive list of design features. This home packs style and function into just over 1200sf. An elegant living space greets you through the front door. Eat at the large island or caf' dining area. Head down the hallway to the bedrooms and laundry. The master suite includes ample natural light, a bath with dual sinks, private water closet, and enviable walk-in closet. Exterior offers a screened in back porch, spacious courtyard for entertaining, and a two car garage with an additional third bay for your golf cart! The Carolina Courtyard product is our newest addition of paired homes that offer maintenance free living. 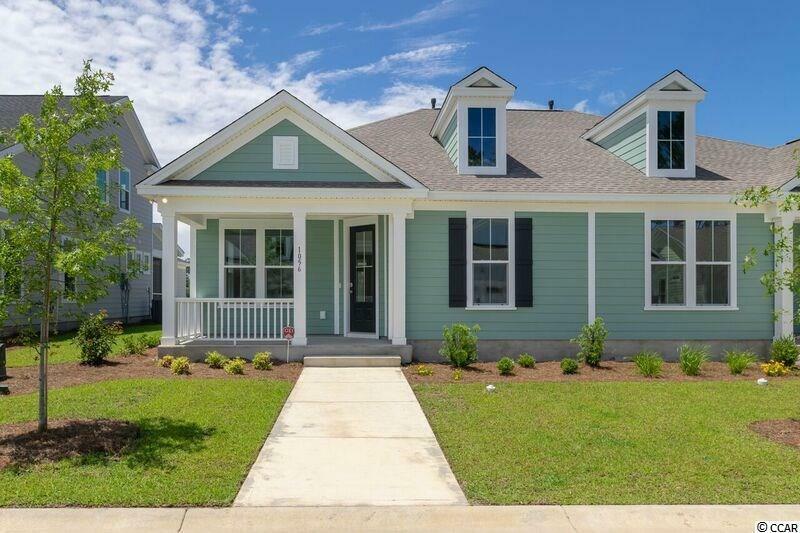 This natural gas community is conveniently located approximately 5 miles from the ocean, and 3 miles from the popular Murrells Inlet Marshwalk where you can enjoy boating, restaurants, fishing, and local events. Brookgreen Gardens is 8 miles away, and retail and grocery shopping only a short drive. Don't forget the nearby award-winning PGA TPC Golf Course where you can golf or just dine for breakfast or lunch with spectacular golf course views. Homeowners have access to the Prince Creek West Amenity Center (The Park) where they can enjoy the fabulous nature trail, kiddie pool, tennis courts, playground, outdoor covered pavilion with fireplace, and grilling area.